Lyari is a thickly populated Karachi neighborhood that is almost always in the news for the never-ending gang war. It is also a hotbed of politics. The history of organized political activism here goes as far back as the 1960s. A decade back, Lyari observed a massive decline in political and social activism due to prevailing violence extremism in shape of gang wars. Half of the diverse youth population enthusiastically joined violent groups and demonstrated deviance. On the other hand, the senior stakeholders confined themselves to their abodes. This way, a huge social vacuum had been superseded by non-social actors for a decade or more. Lyari’s ever famous initiative namely ‘street schools’ were forced to close. The community-based organizations (CBOs) stopped functioning, community centers turned abandoned and libraries were left empty. The effects of wide-spread violence were deep-rooted in every individual’s mind and people of Lyari had become xenophobic. Soon after the launch of a target military operation against gang warfare, the elimination process started. Numerous desperados were gunned down within a year. Some of the criminals and VE groups were put behind the bars and some of them succeeded in escaping. In the same tenure of VE groups, the local media was also playing a significant role in distorting people’s ideologies and spreading fears. The local newspapers seemingly had a firm commitment to promote crime and criminals in a very organized way. Due to the increase in illiteracy, people of Lyari had become addicted to reading the news related to VE. The VE groups established a forum namely ‘Amn Committee’ and torture cells too in order to frighten the masses and ensure their ‘rule’ over the people. Needless to say, they somehow succeeded in doing so. Noticeably, many educated individuals shaken hands with the VE groups and joined the gang movements in the name of their ‘survival’. In all these mess, Lyari has lost its true personality in national and international media. Right after the law enforcement agencies established peace in the area, people of Lyari started melting their frozen notions. Considerably, a great many developments occurred during 2016. The year started with a hope to revive social development, to promote culture and Art, to engage youth in filmmaking and photography, and other positive and healthy activities. With the collaboration of Law enforcement agencies and community’s stakeholders, the situation started getting better. The youth, meanwhile, occupied the vacuum and made efforts in their own capacities. Along with youth, some of the seniors also put themselves in baking efforts to produce fervent narratives such as Mr. Ramazan Baloch wrote a book entitled ‘Lyari Ki Adhri Kahani’ published with the support of Karachi Youth Initiative (KYI). Mr. Latif Baloch, a senior Journalist who served Daily Dawn for 33 years published two books during the year such as My Reminiscences and The Case of Lyari (Lyari ka Muqadima)’. These produced works of literature helped in reviving the lost narratives which were veiled to today’s generation due to VE notions for a decade. The books of Ramazan Baloch and Latif Baloch proved to be a new horizon for the people, especially for the youth. During the year, some youth social activists did credible exertion and gave Lyari an exceptionally well recognition across Pakistan. Mahira Ahmed Miyanji has been entitled as Pakistan Youth Icon on behalf of her educational contributions. Ahsan Shah has received an international award for his film namely ‘Jawar (Law n order situation)’. Nouroz Ghani has been awarded as a Peace Accelerator at National Level. Abida Wahid has received a gold medal on behalf of her Master’s degree in first class. Aseela Abdullah has received a gold medal in Business Management from Muhammad Ali Jinnah University (MAJU). Khaifi Khalil has received I am Karachi Hope award in 2016. Shabbir Ahmed Arman has been declared columnist of the year and been awarded by CPNE. Mahjabeen, a female boxer has been presented with a gold medal at a National championship. Amir Ali, a male boxer has been presented with a gold medal and represented Pakistan at an international boxing tournament. Abid Hussain Brohi and Asghar Baloch introduced girls boxing in Lyari. Anwer Ali Bhatti formed a girl’s scout and introduced it at the national level. Three girls from Benazir Bhutto Shaheed University stood TOP at SAP. Abdul Razzaq has reclaimed Lyari Community development Project and commenced youth activities. The area where LCDP is situated, considered to be a vulnerable place once. Naveed Baloch, a disabled guy, has reclaimed a street School in Kalari which was the most affected area of Lyari in the VE tenure. The school has been reclaimed with the support of Karachi Youth Initiative (KYI). Salman Baloch has reclaimed a place which was once the hub of gang war management. Now, the place is being used as a coaching and language institute and engaging almost 400 students. Sher Muhammad, a public school peon is now administering the school namely Lyari Montessori, being run under KMC. The school is now engaging almost 500 primary children. A fiction film titled ‘Kaangi (the Crow)’ has been presented with a shield by Jami Mehmood at a National Level. Adil Bizanjo has introduced community-based filmmaking from the forum of NOSACH Film production. Maqbool Ahmed reformed and revived an organization namely Young Educational Society (YES), which was forcibly closed by VE groups. Sabeer Ahmed, a young social activist formed a youth-based organization and conducted numerous sessions throughout Lyari in 2016. The above mentioned are the steps taken by individuals to sustain peace in the area and promote art and culture in Lyari. The reason behind the capture of ‘gang war rule’ was its strong narrative. The tools that the VE group utilized are wall chalking, posters and the media (Local Newspapers). On the other hand, there was no parallel voice or forum that could encounter those VE actors. That was the only loophole that ruined Lyari’s political and social personality. Noticeably, those thirteen years of VE Rule, as some of the intellectuals of Lyari put it as the ‘declining age’ of Lyari. 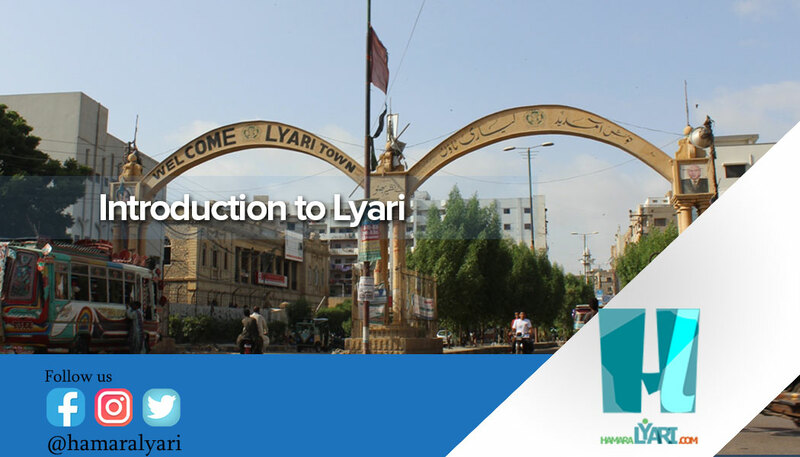 To excel further toward the revival of Lyari’s Golden age some strong narratives need to revise before the new generation. 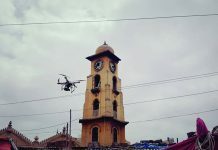 The developments occurred in 2016, (as mentioned above in the list) must be brought into the consideration of every individual in order to tell people what has been achieved in Post-Gang war era in Lyari.